I may have to stop posting until I get some actual good news, but wanted to keep you all up-to-date on this Motorola XOOM pricing situation. We original heard from our sources that it would land on Verizon at $799 and then today we saw a lower $699 price appear at Best Buy. 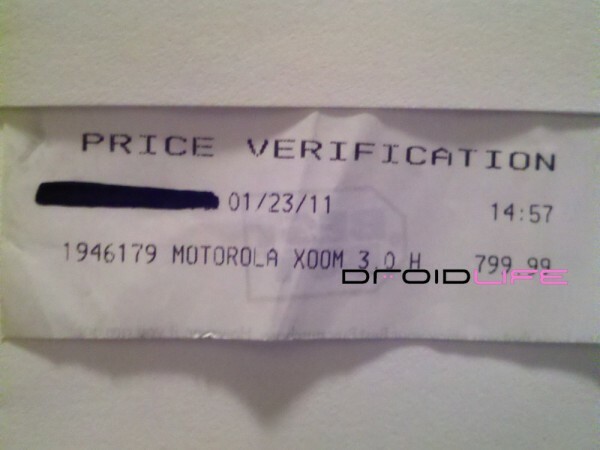 Well, as always, we dug deeper and hit up our friends at BB who ran a price verification on the XOOM. The results? It looks like we’re back at $799 for now.